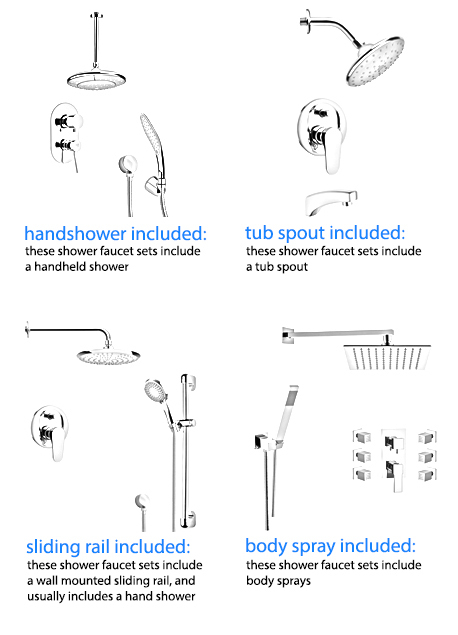 Shop our selection of exposed pipe showers and get FREE shipping on all orders over $99! Exposed pipe shower systems give your bathroom a clean and contemporary look. In addition, an exposed pipe shower set can be an easier way to upgrade your bathroom hardware, without needing to remove or replace expensive tile work. 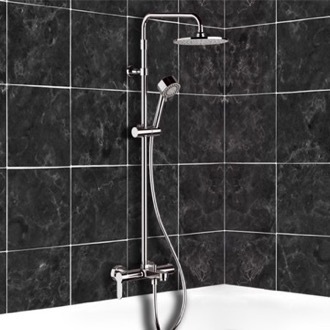 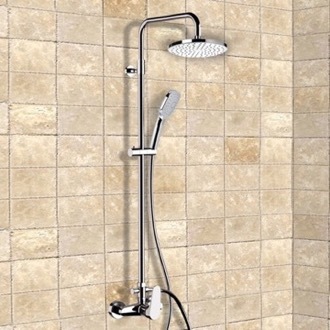 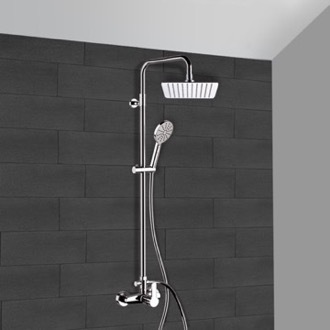 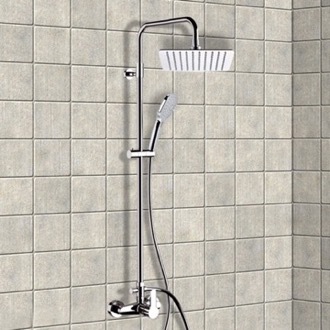 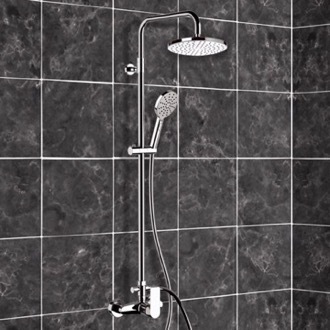 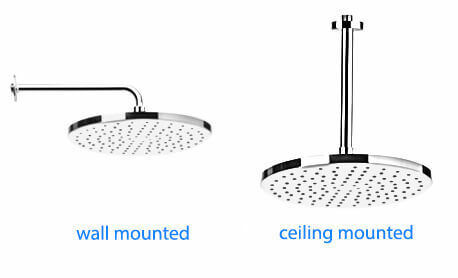 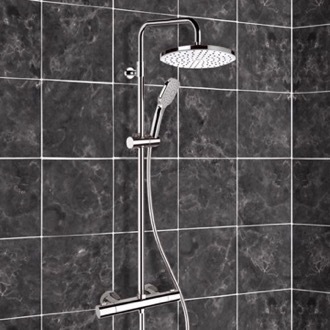 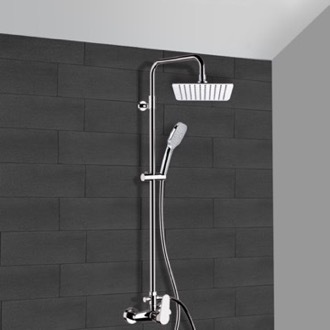 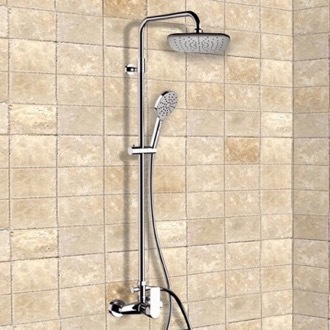 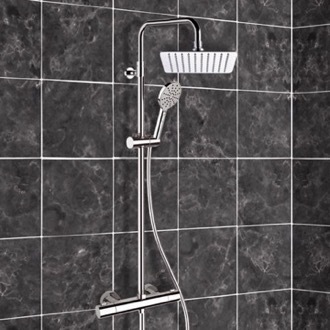 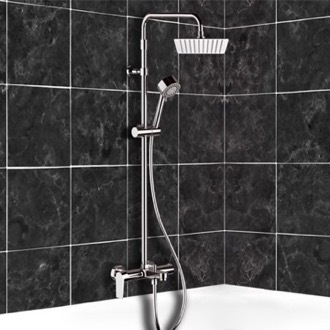 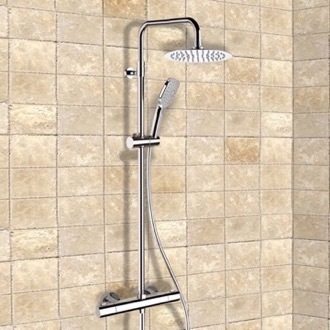 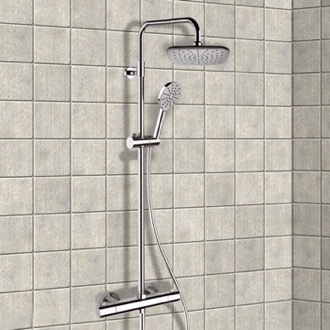 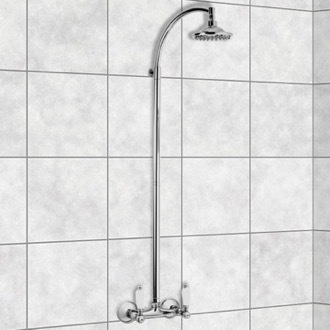 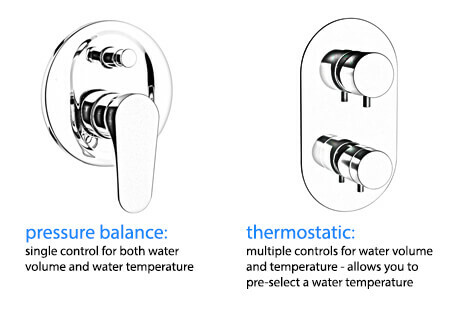 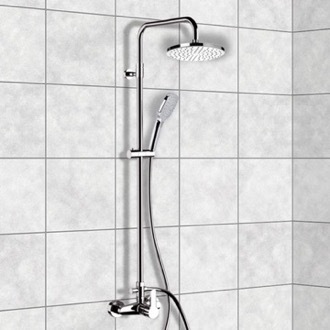 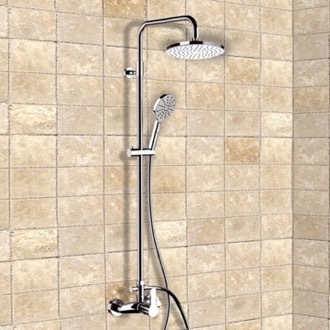 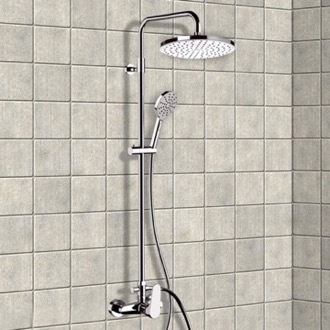 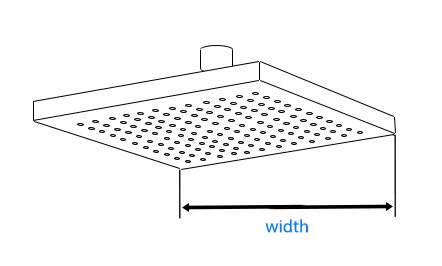 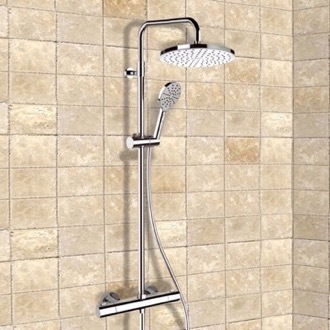 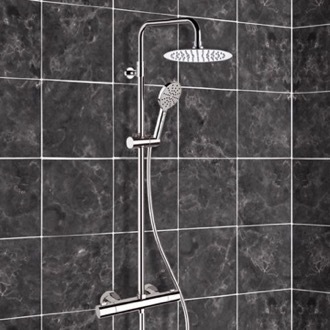 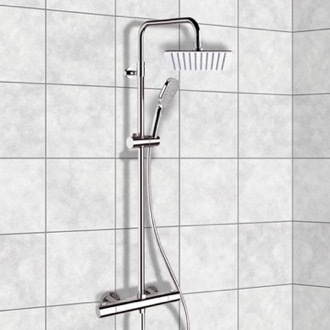 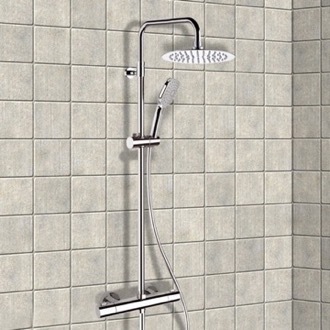 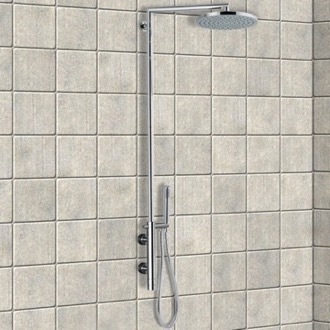 You can purchase rain or standard exposed pipe shower heads. Many exposed pipe showers also come with a handshower so you can scrub up with ease.